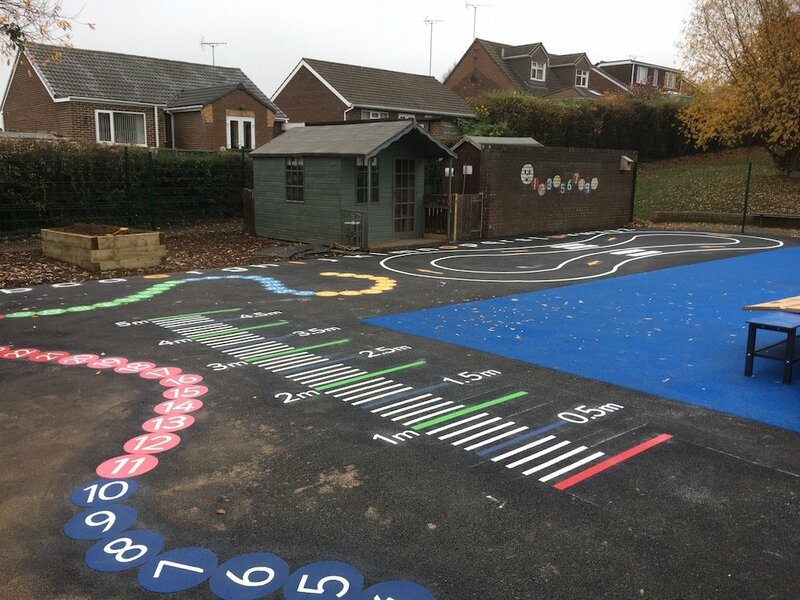 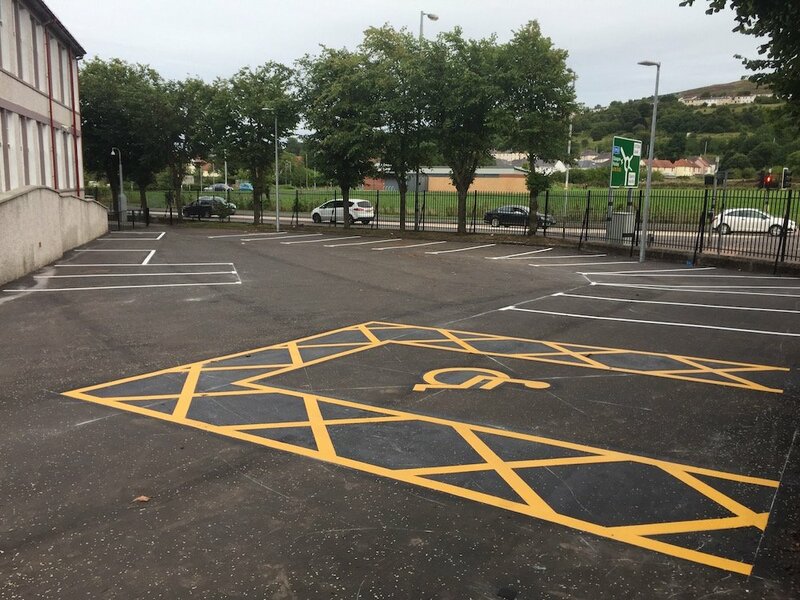 first4playgrounds recently installed a range of playground markings in Barnsley, Yorkshire at the beginning of August. 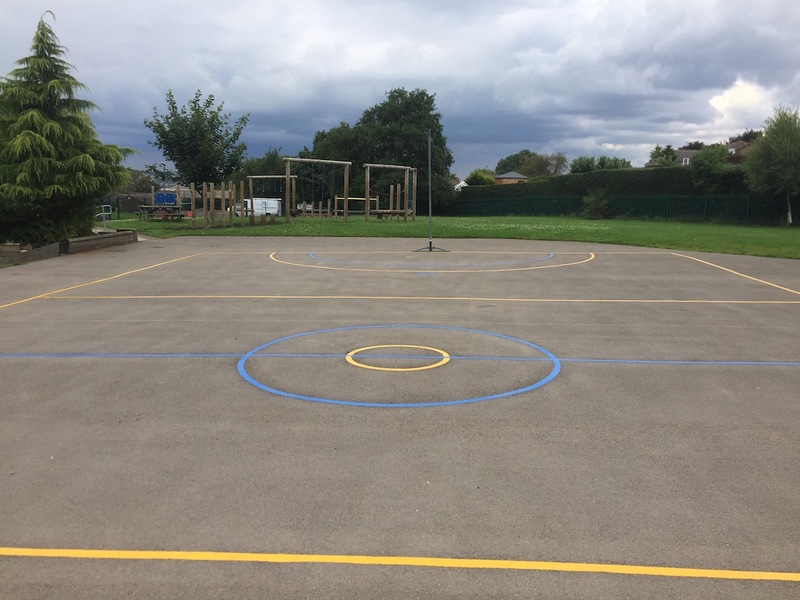 Our team firstly installed a Multi-court consisting of a netball and basketball court. 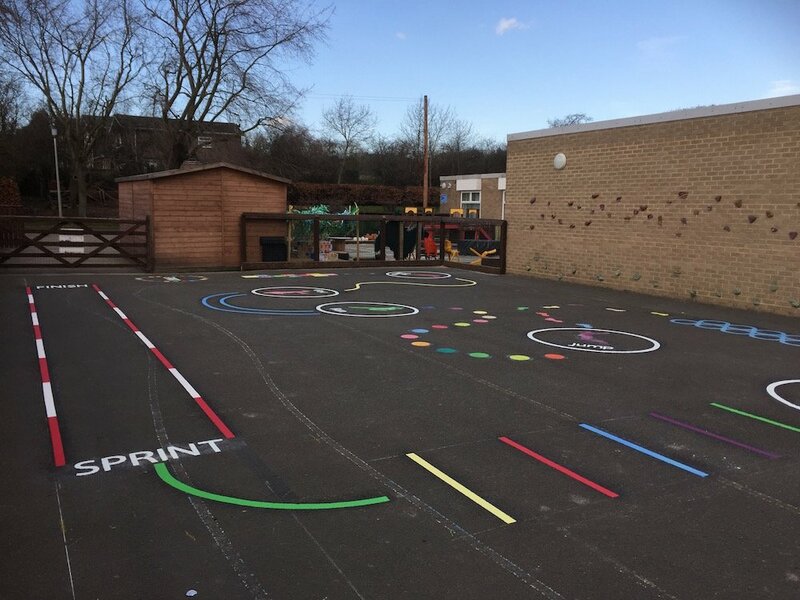 The two courts have been crafted using two different colours to provide a clear definition between each court. 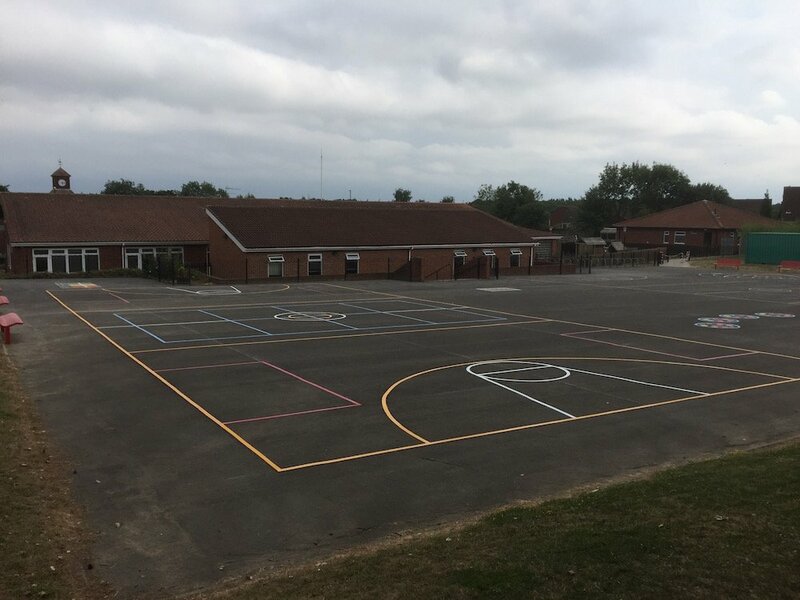 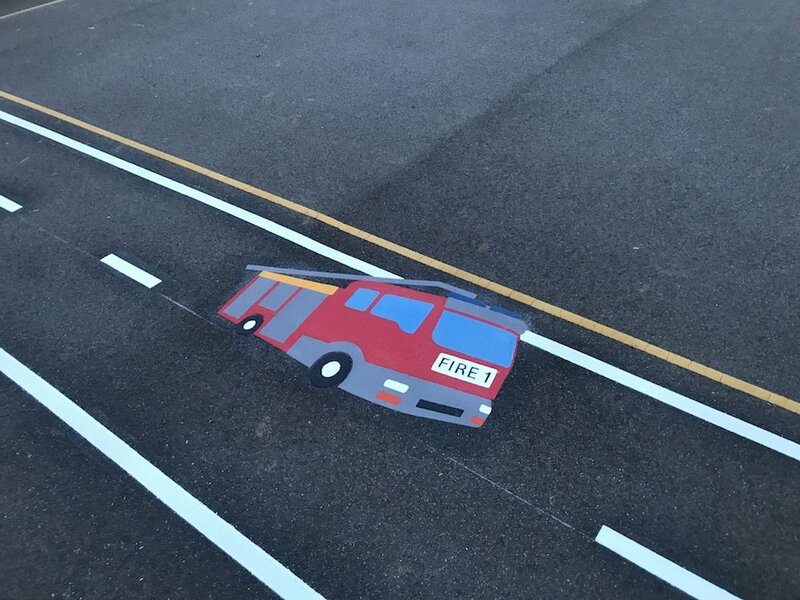 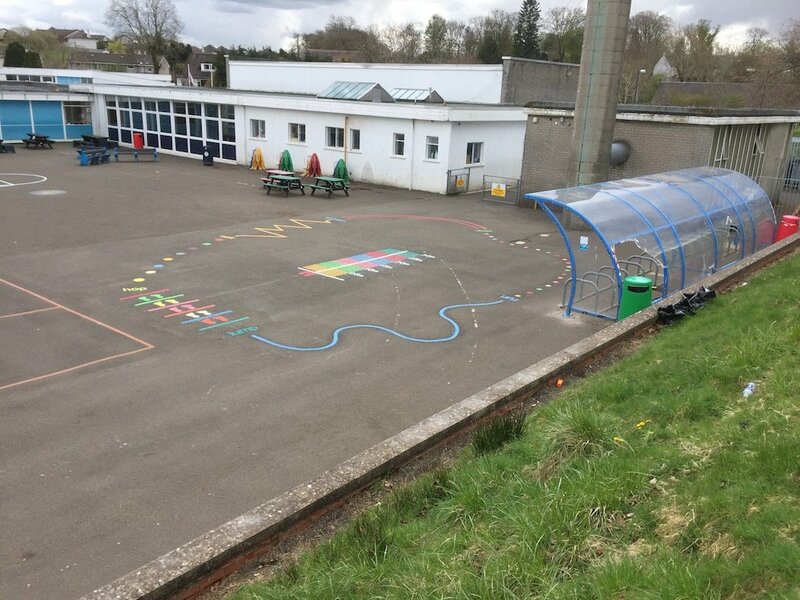 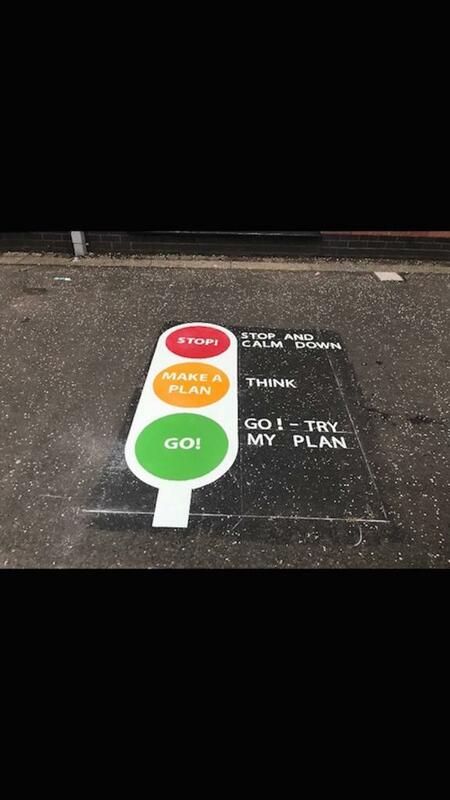 This is a great technique for schools who are in need of more than one court but do not have enough tarmac space in there grounds. 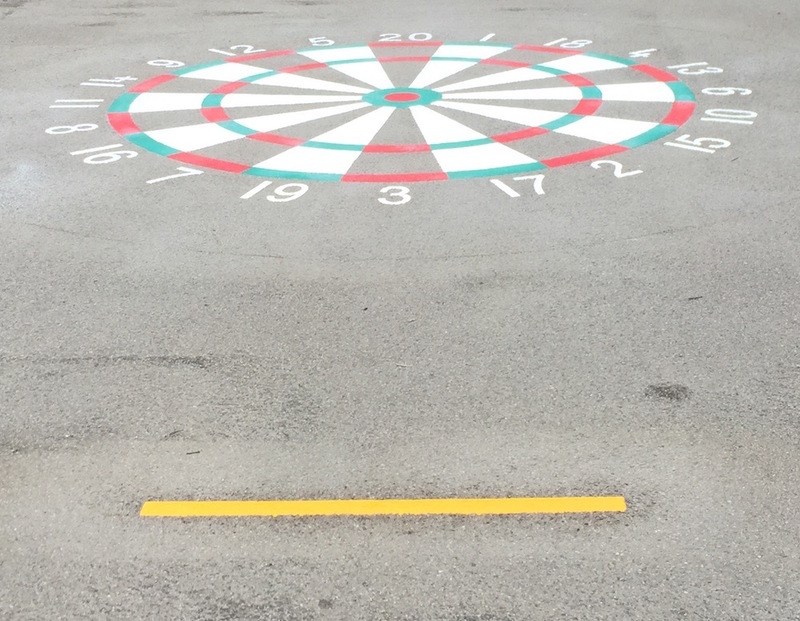 Secondly, we installed an exact replica of a dartboard so the children can have fun trying to hit the bullseye! 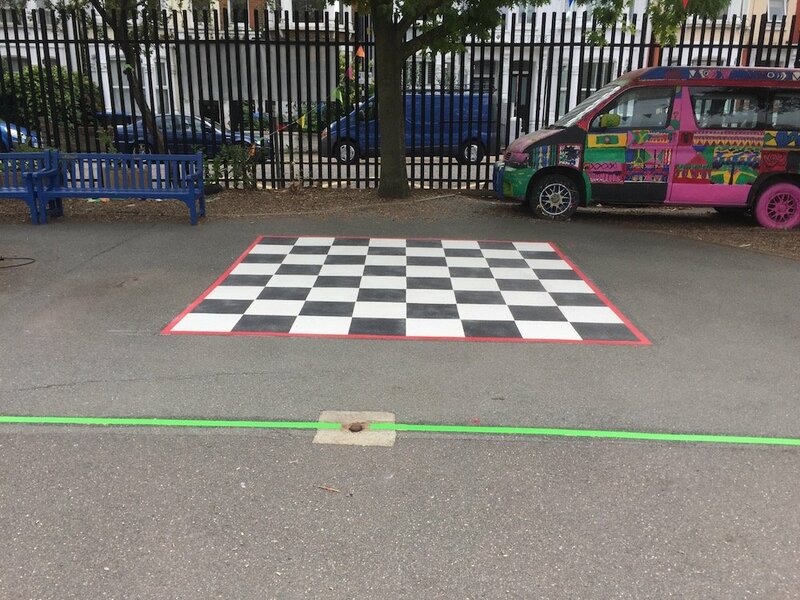 This is also a great game to practice quick mental maths as the children have to double and triple their point scores frequently. 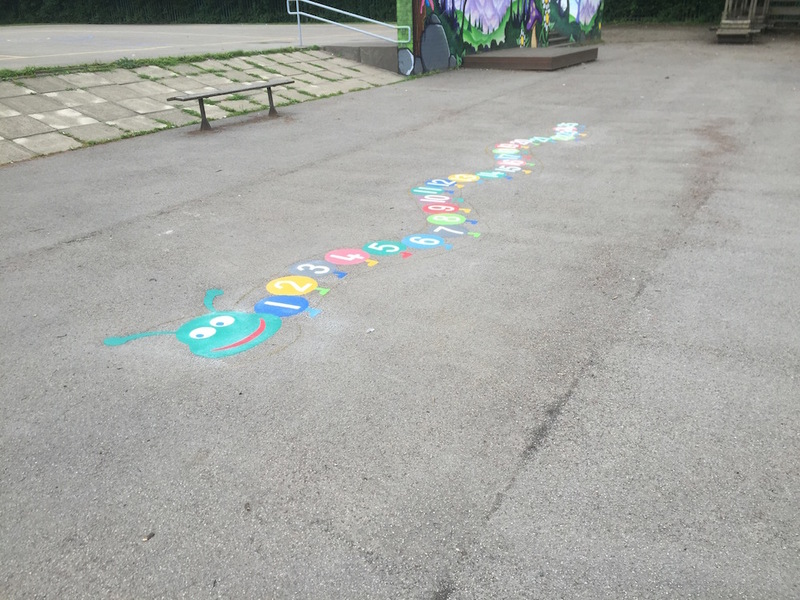 Lastly a Counting Caterpillar was put into place for the younger children to practice there 1-25 counting skills, and to get some exercise in doing so.